One of my favorite pre-keto fall activities was apple picking, fueled by an apple cider donut. But these days I know that those donuts would send my blood sugar soaring. 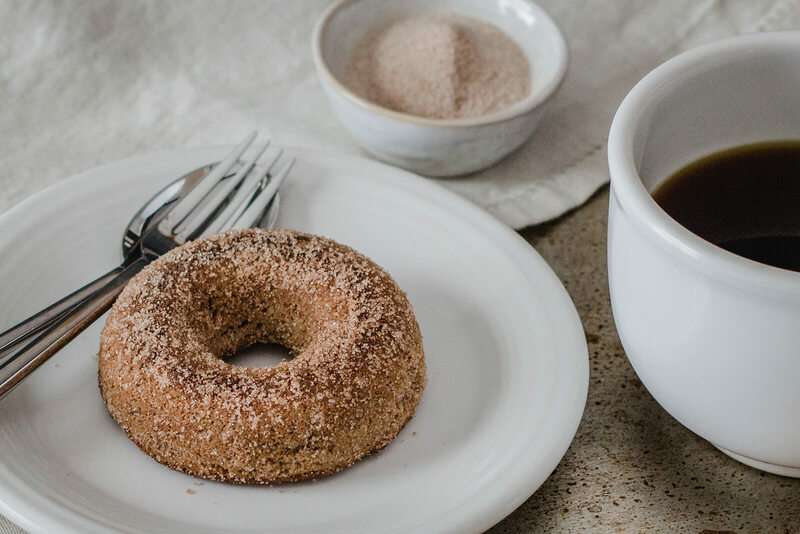 I decided I had to create a keto apple cider donut recipe that would finally live up to my memories of those hot sugary donuts. I knew that Pastry Chef Lauren Dawson created a fantastic (albeit sugar and gluten-filled) cider donut at NYC’s Hearth Restaurant years ago. Her recipe was made iconic by The Washington Post and Deb of Smitten Kitchen. Clearly, this was a great jumping off point, even if the final keto recipe below is a predictably huge departure from the original. 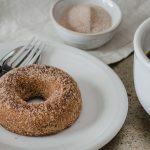 I baked my Keto Apple Cider Donuts in a silicone donut pan, rather than deep frying. Without gluten, the keto donuts have less structural integrity, so baking is just plain easier. Silicone donut pans are non-stick, and their flexibility makes popping the donuts out a breeze. Tip: If you ever bake something in a silicone pan and it sticks badly, no need to worry! Just leave the rest of the baked goods right in the pan and freeze until hard. Then use the flexible pan to help you pop them out, and defrost! 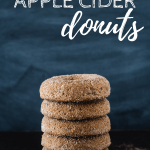 For my Keto Apple Cider Donuts, we are using caramel apple tea to create the cider flavor, but any apple spice or apple tea will work. As a Type 1 Diabetic, I’ve tried both the Celestial Seasonings Caramel Apple Dream Tea and the Red Rose Caramel Apple Pie Tea and none of them raised my blood sugar at all or required an insulin bolus, but of course, everyone is different. I brewed the tea to be double strength and then reduced it on the stove to concentrate the flavors. 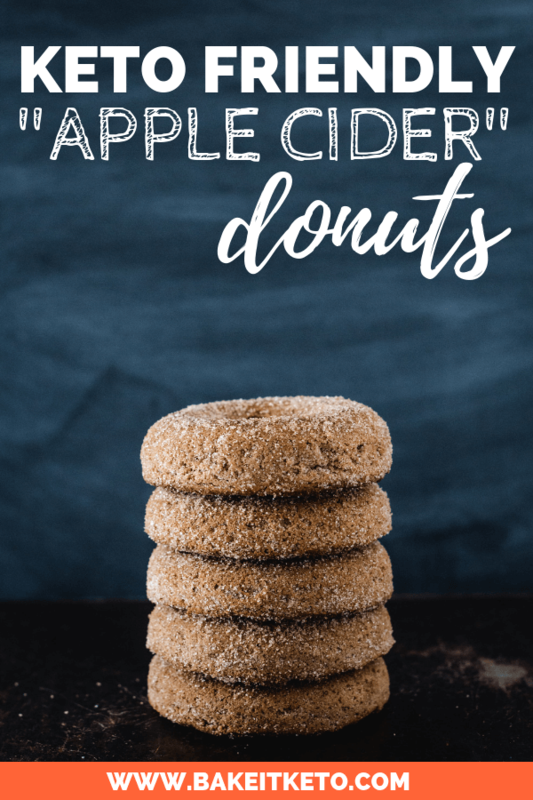 Sugary cider donuts often lack apple flavor, and we don’t want our keto donuts to suffer the same problem! In place of the original recipe’s buttermilk, we’ll be substituting half and half soured with lemon juice. This swap isn’t due to carbs, but because the lemon juice freshens and rounds out the apple flavor. Not to mention that I never seem to be able to use up and entire carton of buttermilk anyway! I’ve added a small amount of apple extract to give the apple flavor another boost, but you could certainly leave it out. Stick to the recommended amount if you add it though. Too much apple extract can leave an unpleasant aftertaste. In a small saucepan, reduce the strong caramel apple tea down to 2T. In a small cup, combine the half and half and lemon juice. Set aside and allow to thicken. In the bowl of a food processor, add butter and granulated Swerve and pulse to combine. Add the eggs one at a time, pulsing after each addition. Add the soured half and half mixture, vanilla, and apple extracts, and pulse to combine. Add the coconut flour, collagen peptides, baking powder, baking soda, cinnamon, salt, nutmeg, and pulse to combine. Evenly divide the batter into a greased donut pan. Scooping the batter into a pastry bag (or zip-top bag that you cut the corner off of) makes it very easy to pipe the batter evenly into the donut rounds. Bake at 350 degrees F for 20-25 minutes, turning halfway through the baking time. While the donuts are baking, combine the granulated Swerve and cinnamon for the cinnamon "sugar" topping in a shallow bowl. Let the donuts cool slightly and then pop them out of the pan and cover in cinnamon "sugar" topping while still warm. If your donuts have cooled completely, just warm them in the microwave for about 10 seconds. 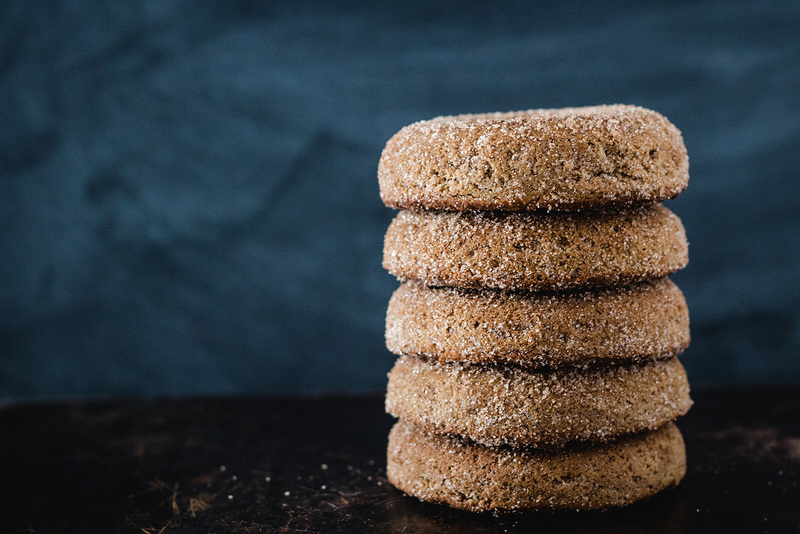 WANT TO SAVE THESE KETO APPLE CIDER DONUTS FOR LATER? CLICK HERE TO PIN THE RECIPE TO YOUR FAVORITE PINTEREST BOARD!